A stunning photo of the Mayon Volcano’s eruption in the Philippines has caught the attention of internet users around the globe as its volcanic ash, clouds and smoke look strikingly like an iconic scene from the country’s folklore. The viral image, captured by photo journalist Ciriaco Santiago III, is eerily similar to an image of an ancient myth which features tragic lovers Panganoron and Magayon. 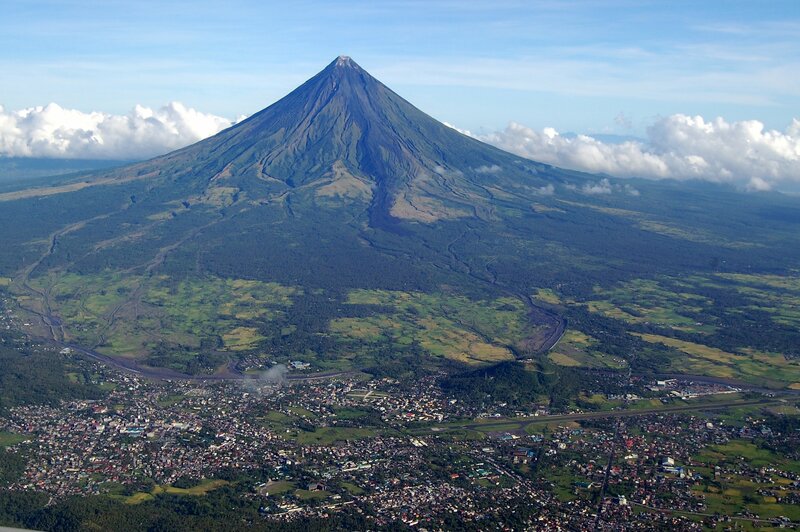 The Mayon Volcano is an active volcano in the Albay, Bicol Region in southeastern Luzon. 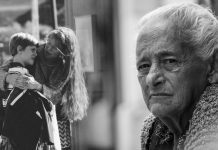 The ancient folklore tells the story of a gorgeous young maiden called Magayon, which means “beautiful”, who flees from her suitor to wed her warrior lover Panganoron. While escaping, Magayon is tragically struck by a poisoned arrow, and Panganoron is stabbed while kneeling over his dying lover. Magayon’s father buries them side by side years after their death, and over time, the ground above their bodies eventually rise to form a volcano with a near-perfect cone shape. 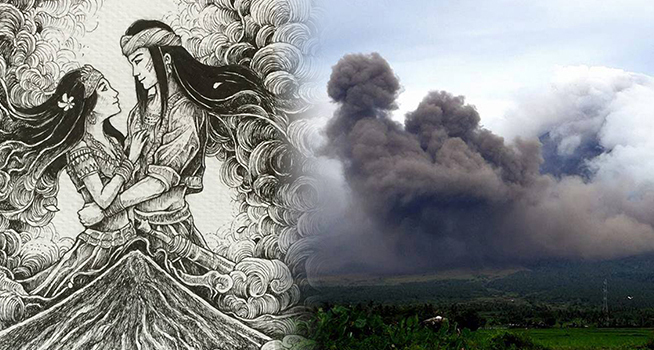 Some believe that Pagtuga is bothering Magayon when the volcano is almost erupting. 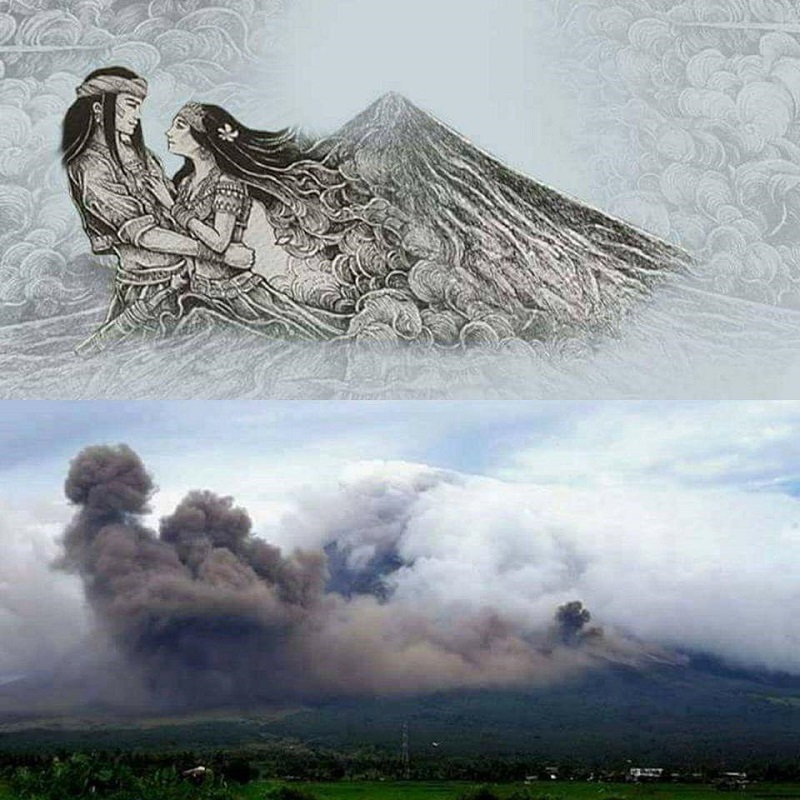 While it is calm, others believe the lovers are hugging each other, while some say clouds emerge from the Mayon Volcano when they are kissing. 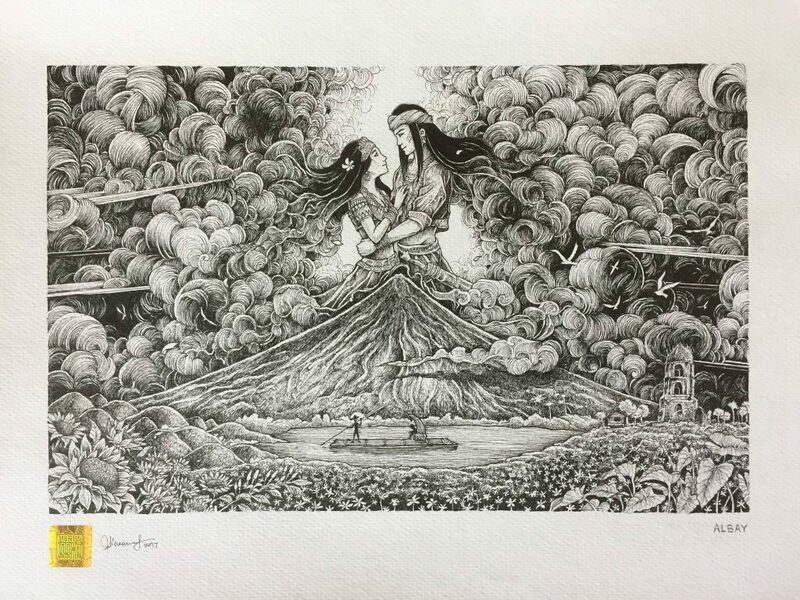 So when artist Kerby Rosanes posted a gorgeous illustration of the romantic tale next to Ciriaco’s photograph, internet users found the similarity incredible! 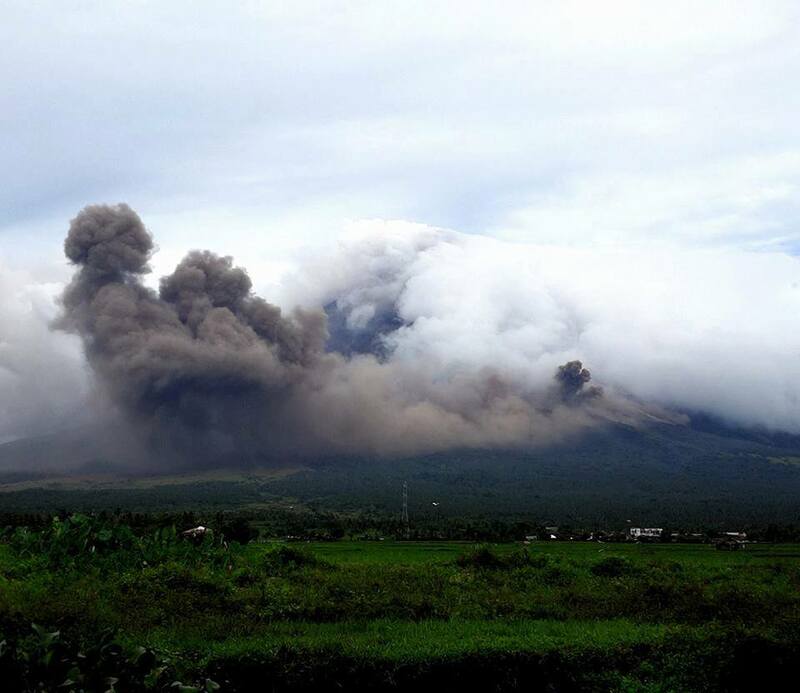 Many pointed out that the volcanic clouds look like Panganoron and Magayon embracing each other.